There are a number of venues throughout DuPage County that regularly host live jazz artists and bands. If you are a jazz enthusiast trying to find nearby, suburban venues to see and hear jazz, the following list of bars and restaurants should point you in the right direction. Check out each venues’ website for more information and a current schedule of live jazz performances. Most Thursdays, from 7PM to 10PM, Adelle’s plays host to “WDCB Jazz Thursdays.” More information can be found here. Directly adjoined to the Oakbrook Mall, Braxton is an upscale seafood restaurant and bar that regularly features live jazz music on Friday nights. Call or visit their website to find out more about their scheduled performances. Cab’s is a great place for dinner and/or drinks. 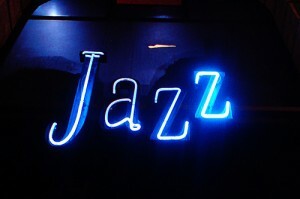 Located in downtown Glen Ellyn, Cab’s often has great live jazz performances. Be sure to check their schedule here. Located in downtown Naperville, Jilly’s regularly features live jazz music. The bar usually has a more mature clientel. A full schedule of live music can be found here. Julian’s is located one mile south of North Aurora Avenue on Route 59 (by Meijer) near the Fox Valley Mall area. The bar has a slightly swanky feel to it and regularly features fine local jazz artists. The MAC is a great theater to see top contemporary jazz artists. A full schedule of live jazz performancescan be found on the MAC’s website. Advanced ticket purchase is usually recommended. Morgan’s has a cozy bar area with a fireplace and a relaxed vibe. There is live entertainment on Friday and Saturday nights (often jazz performances). .
Parker’s has a nice, upscale feel interior and frequently features local jazz artists in their bar. Call ahead or check online for the upcoming lineup. Sullivan’s has a regular lineup of live jazz musicians. Call or visit their website for upcoming jazz performances. If you know of any other great local jazz venues, please let us know in the comments section below!